Perfect for the hottest of show days! 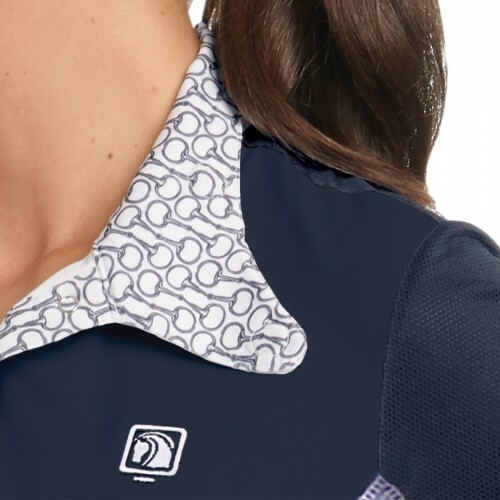 The Long Sleeve Signature agnetic Show Shirt is the coolest, with our custom Cool-touch™ microfiber with Chill-factor™ and breezy micro-sheer mesh panels located discreetly on the bottom side of the sleeves. 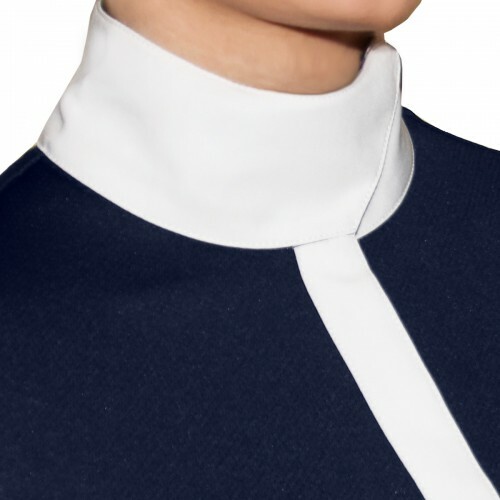 Features a crisp woven placket and wrap collar with invisible magnetic snaps, stylish contrasting print inside collar and placket and flat seam stitching on body and sleeves, feminine Romfh® embroidered logo design on sleeve and left chest. This shirt is the best of both worlds: wear it closed for a crisp classic ratcatcher look, or open for a cute polo look. Great for showing and schooling in-between classes. NEW Chill-factor™ will cool you down as well as protect you from solar rays. Machine washable.